Sometimes to get people to make different choices about how they travel you have to make things easy for passengers. This usually means think about transport in a connected way and looking at what people need and want and what might be barriers. So great example here from Germany. 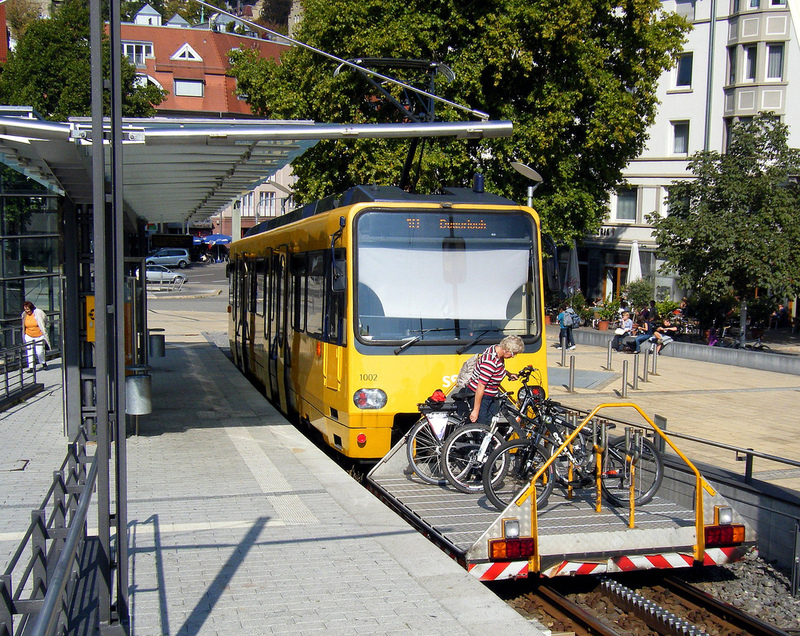 Cyclists often use another mode of transport as part of their journey - interaction with trams and railways is often constrained by the lack of space for cyclists to store their bike on-board and therefore be able to continue their journey on bike when they reach the destination.